If you recognise your need for Omega Fatty Acids, but don't wish to take Aids, Enhancements & Supplements/Fish Oils, Flaxseed oil is a credible alternative, the richest source of fatty acids in vegetarian form. 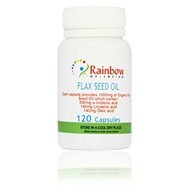 A massive 1,000mg of premium, cold pressed Organic Flaxseed per capsule - double that found in typical Flaxseed supplements. 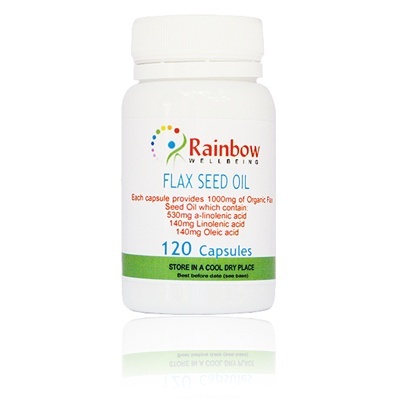 Flaxseed Oil provides an excellent source of source of Alpha-Linolenic Acid (ALA) - omega 3 and Linoleic Acid - Omega 6 fatty acid. Essential fatty acids (EFAs) play many important roles in the body, but your body cannot manufacture these vital substances.